Green transportation soared to new heights this week as Inhabitat showcased the world's first true hybrid-electric airplane, and we spotted plans for a zero-emission hypersonic jet capable of traveling from London to New York in a single hour. Meanwhile, Japan gave the green for the construction of a blazing fast 313 MPH maglev train line, and we spotted a crazy high-speed rail concept that would allow passengers to change trains while speeding along the tracks. We also watched as an 11-year-old student piloted a 1,325 MPG hypermiling supercar and we saw an 8-ton Volkswagen beetle sculpture sink into the sea to start a new life as an artificial reef. It's been a scorching summer for solar power as Torresol opened the world's first 24/7 solar plant in Spain, and Samsung unveiled the first photovoltaic-laden laptop to be sold in the US. We also saw Aquamarine Power break ground on a massive wave energy farm in Orkney, while Germany hatched a plan to store excess wind power in abandoned coal mines. Finally, we spotted several novel incredibly odd new energy-generating gizmos -- a t-shirt that converts rock music into electricity and a power-generating USB camping pot that charges your gadgets as you cook. Speaking of renewable energy, this week we caught a first look at the amazing EDV-01 shelter -- a high-tech solar-powered building with a luminous LED facade that is capable of doubling its capacity with the flick of a switch. We also brought you Adrian Smith and Gordon Gill's plans for the world's 4th tallest skyscraper, and we showcased an ultramodern paperless office in the Netherlands that looks like a meteor fallen from space. Last but not least, we took an exclusive first look inside BIG's mountainous green-roofed eco village in Copenhagen, and tech expert Peter Rojas tackled the question of whether it's better to turn your laptop off or set it to sleep in our Ask a Tech Geek column. 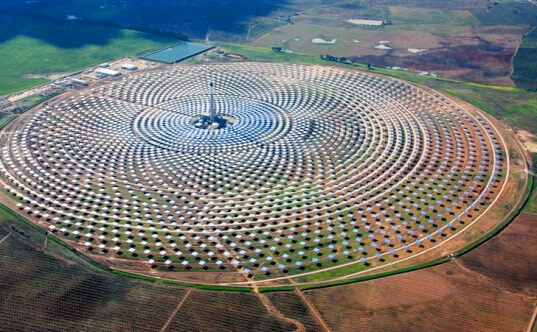 Inhabitat's Week in Green: 'round the clock solar plants, USB camping pot and wave energy farms originally appeared on Engadget on Sun, 26 Jun 2011 21:00:00 EDT. Please see our terms for use of feeds.